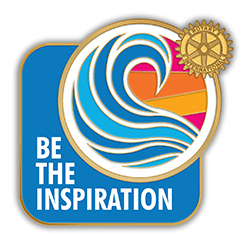 Horsham Rotary exist to support the local, national and international community. We are especially active in the Horsham and surrounding areas, running several ongoing programmes and organising a wide variety of events through each year. Each year in the weeks leading up to Christmas you will find us out and about in the town centre and surrounding areas, collecting funds which we then use to buy supermarket vouchers which are given to families who do not have the cash to give their children a special Christmas meal. The Rotary New Generations Service Exchange programme, which provides opportunities for young people between 18 and 30 to undertake placements across the world or in their home country lasting anything from three weeks to six months. Help is provided by supporting participants in raising the funds they need to make a trip. Contact us through your school or the Contact Us page if you are interested in either of these schemes. Finally, through the year we organise or support a wide range of events in the local community, Some helping other charities publicise themselves, some raising money for our own and other charities and some simply providing fun things to do in Horsham Town Centre (especially during school half-terms and holidays). Watch our web site or social media channels for details of what is coming soon.